Pruning trees is a great way to promote overall tree health on your property. It is something that really should be done on a regular basis which many people neglect to do. It is a process that not only helps your trees but will also benefit the other plants in your landscape as well. Tree pruning is something we at Deltona Tree Arbors just happen to be experts at too. If you ever walked by a home with unhealthy and unkempt trees and then walk by another where the trees are properly pruned and trimmed, you will immediately notice a drastic difference in looks. The yard with the pruned and trimmed trees will look significantly better. 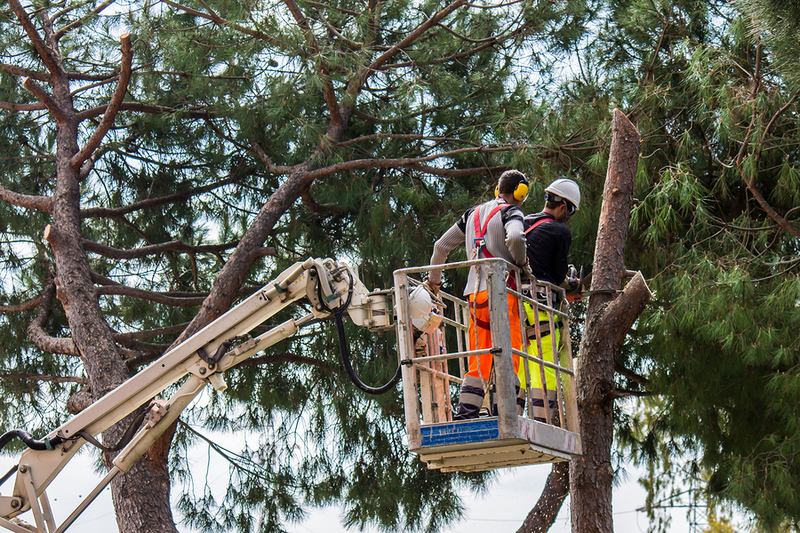 Our professional arborists have the tools and experience to safely and effectively perform tree pruning in Deltona, FL on any species of tree that can be found at your home or place of business. With the favorable growing climate in Florida rapid tree growth can be a significant problem and tree pruning is a big part of rectifying that unwanted and unhealthy situation. Aesthetics – We have already mentioned how much better trees that are trimmed and pruned properly look than those that are left unattended and unhealthy. Safety – Dead and broken branches can become a safety hazard if they are not removed quickly. Tree health – Pruning, in a similar fashion to tree trimming, let’s important sunshine and air get to the interior of the trees where it is also needed. Tree pruning Deltona, FL is not something that should be undertaken by just anyone. It is an art that takes unique experience and special skills to do without harming the trees. Improper pruning can even cause a tree to die if not done right. Deltona Tree Arbors has skilled pruning technicians that know exactly where to cut and trim all the different varieties of trees found in Deltona and the surrounding area. Deltona Tree Arbors also believes in doing our tree service work at a fair and competitive price. Given that fact, we encourage you to get your Deltona tree pruning done on a routine basis to improve the overall health of your entire landscape. No job is too big or too small and we do both residential and commercial tree services. We can also handle tree removal, limb removal, lot clearing and many other tree related services. So call Deltona Tree Arbors today at 386-222-1957 for a free estimate. We service all major communities in Deltona and the surrounding areas.